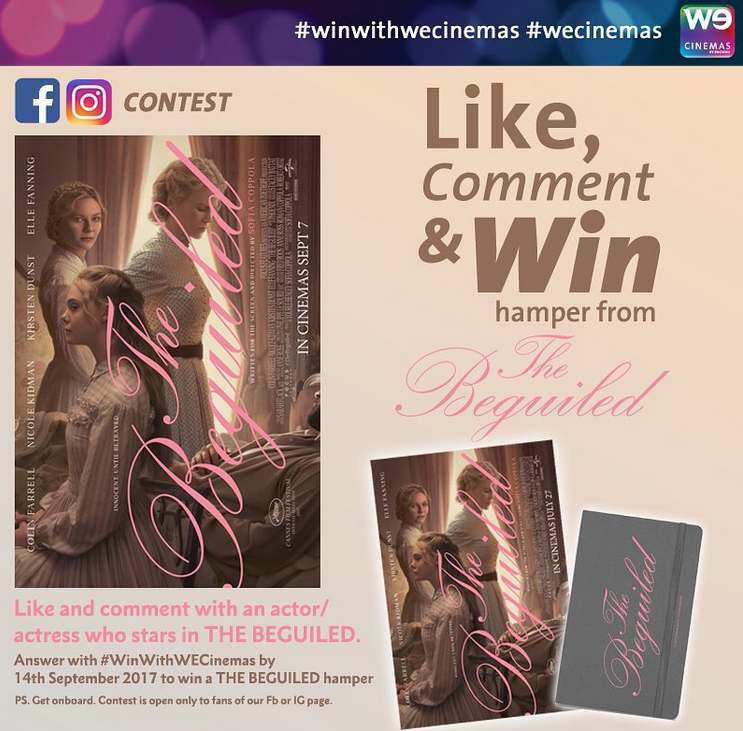 Stand a chance to win The Beguiled Hamper by answering the folloiwng question. Like and comment with an actor/actress who stars in The Beguiled. Answer with #WinWithWECinemas by 14th Sep 2017. PS. Get onboard. Contest is open only to fans of our Fb and IG Page. The Beguiled opens in WE Cinemas on 07 Sep 2017.